Those that have acne-prone skin that is very oily often try to combat these conditions with toners, cleansers and masks, but often feel as though they do not need to be concerned about picking a high quality moisturizer. If your skin is not adequately moisturized it will continue to produce excess oil that can fuel acne outbreaks. Those that are already prone to oily skin should make a point of seeking out non-comedogenic moisturizers that will not clog the pores. Oily skin can benefit greatly from the application of a moisturizer, but it can also be made worse if the wrong product is used. Low quality products can increase your risk of pimples or blackheads while leaving your skin feeling uncomfortable and greasy. Understanding what to look for in a moisturizer can help you avoid these costly mistakes so you do not damage your skin. If your skin is already prone to producing excess oil you should not choose a product that contains additional oils as it may increase your risk of breakouts. Selecting a product that is non-comedogenic will also help prevent this product from clogging the pores and causing breakouts. Ingredients such as fragrances can irritate breakouts and lead to dry or peeling skin. Choose a fragrance-free, hypo-allergenic product to avoid potential damage to the skin. Items like retinol, alpha hydroxyl acids or salicylic acid can increase cell turnover to reduce acne breakouts. However, you should only select exfoliating products under the direction of a dermatologist as these products can irritate skin with a great deal of breakouts already in place. The products recommended below all have the characteristics that you should look out for in a perfect moisturizer for oily and acne prone skin. 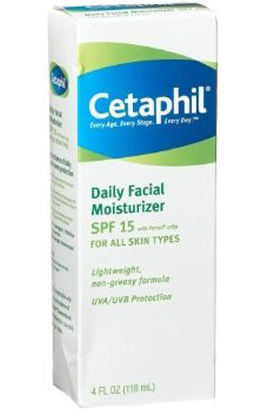 If you were to wear the moisturizers in daytime, choose the ones with SPF. 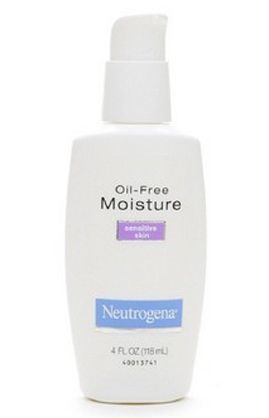 The Neutrogena formula focuses on offering a light formula that absorbs quickly so the skin does not feel heavy and greasy. The SPF 35 content is non-chalky so it will not clog the pores while still providing an adequate amount of sun protection. The pore protecting technology is also ideal for using the moisturizer as a makeup base. 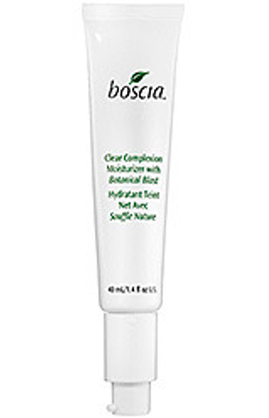 This product is also non-comedogenic so it will not clog the pores and contribute to breakouts. The moisturizer is also fragrance free and hypoallergenic, so it is suitable for use on sensitive skin. This particular moisturizer is designed to be worn all day, while evenening dry and oily parts of the face to minimize shine or dull patches. 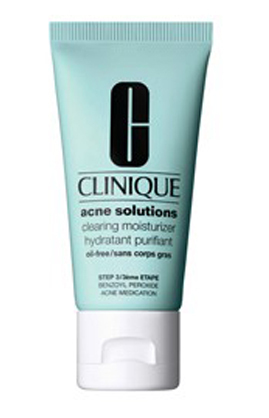 Clinique offers a medicated formula that helps to protect the skin from breakouts while adding a barrier between the skin and contaminants that can make breakouts worse. The system is lightweight and provides hydration that will reduce the risk of dry and peeling skin while cutting down on redness. 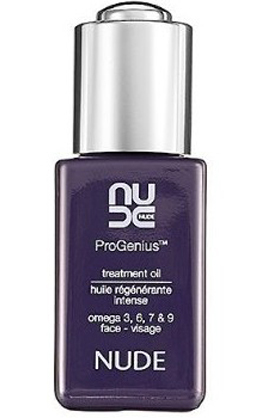 This formula specifically focuses on hydrating the skin to balance oil levels using olive polyphenols. Like many moisturizers that are designed for oily skin types, the product was designed for sensitive skin and can be used in addition to a cleansing treatment to clear away breakouts. This fragrance-free moisturizer focuses on providing protection from free radicals that can damage the skin. The octocrylene content makes the formula very lightweight so it will not clog the pores while helping to bind moisture to the skin. This moisturizer can be used to protect against UVA and UVB rays to reduce the risk of blemishes, wrinkles and fine lines. 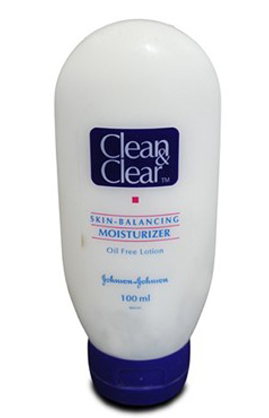 Clean and Clear provides a water-based formula that will not add excess oil to the skin. The scent is minimal so it is comfortable to use on the face. The product also contains salicylic acid that will help to exfoliate the skin while reducing the appearance of blemishes. It is specifically designed for sensitive or acne-prone skin so you will not need to scrub the skin or worry about clogging the pores. While this is an oil-based product it is specifically designed to provide balance to the skin by adding the vitamins and minerals that are necessary to produce healthy skin cells. There are 10 natural plant oils included in the formula that provide high quality omega fatty acids so skin will appear plump and hydrated without needing to produce excess oil for protection. This is a very lightweight formula that is designed for use on a variety of skin types. The formula will not clog the pores and the gentle ingredients will not irritate skin that is already suffering from breakouts. The natural ingredients, willow bark and kurilensis will help to reduce excess oil while refining your pores so you will not be as likely to suffer from blemishes. 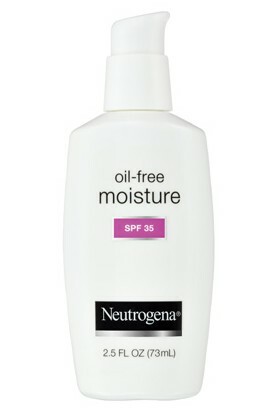 This is also a lightweight formula that helps to keep excess oil in check while keeping the skin moist and comfortable. 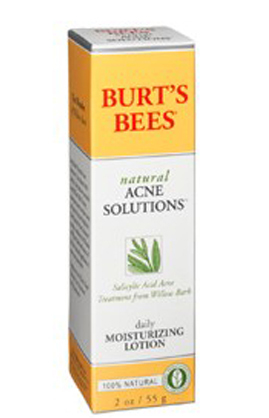 Burt’s Bees products feature natural ingredients like hops, witch hazel and lemongrass to keep the skin naturally smooth and healthy while reducing the risk of irritation. This formula is also specifically designed to minimize the appearance of blemishes while preventing new breakouts.